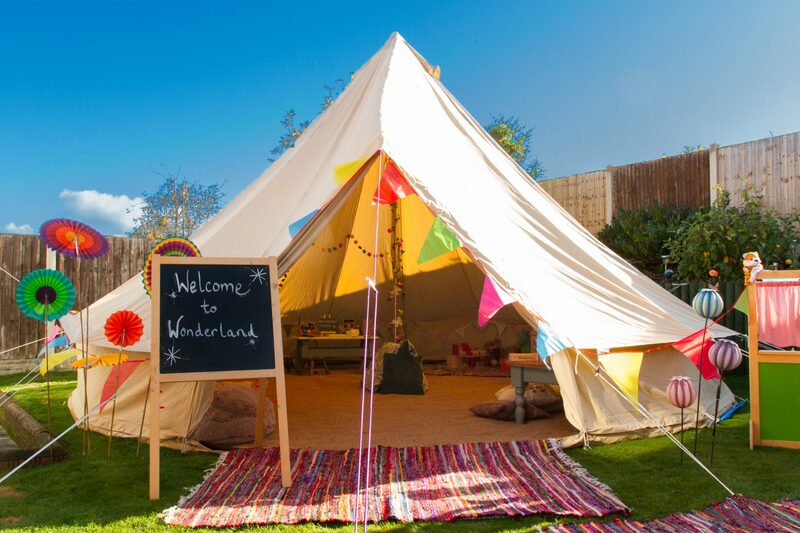 Let Wonderland bring your occasion to life for children of all ages. Standard Wedding Developed to entertain children of any age for a few hours during your special day. Bespoke Wedding Including a personal consultation with Wonderland Manager, Rebecca. Wonderland Parties Perfect for making any girl or boy have a birthday to remember. Whatever your event, whether it be a wedding, birthday, corporate function or party, it’s a time of celebration with everyone coming together. The children are a huge part of that, but it’s also important you enjoy yourselves as well. Our qualified team of playworkers and nursery nurses are here to entertain your little ones, ensuring they have a day to remember. 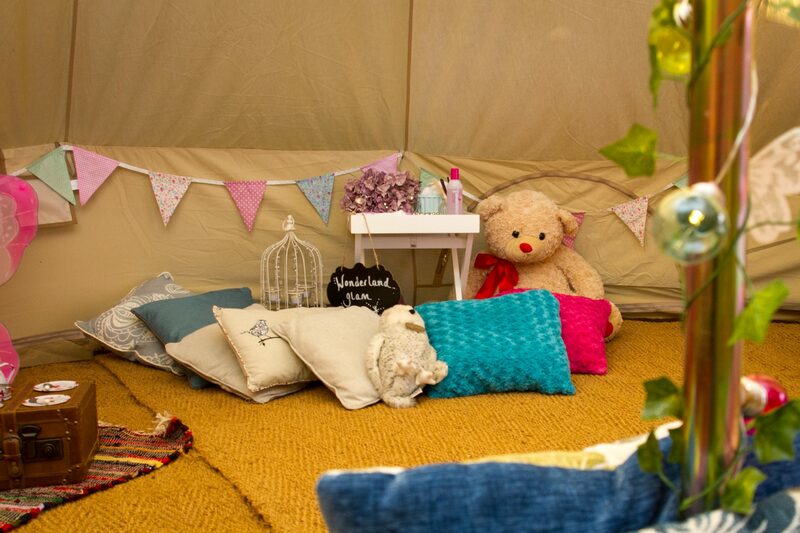 Whether you choose our vintage 6metre bell tent or our stunning indoor gazebo, we will bring your occasion to life. As well as offering high quality childcare and supervision, our dedicated team will be on-hand to deliver a magical experience they won’t forget. 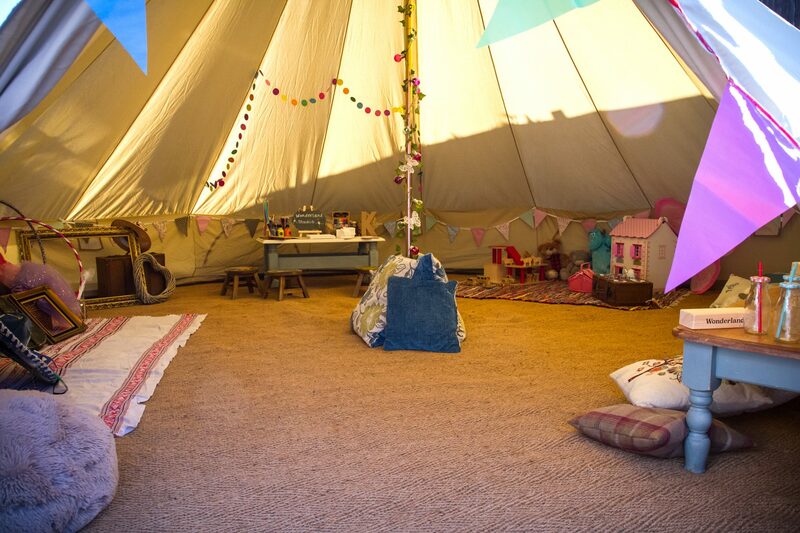 Whether its searching for buried treasure as part of our prestigious pirate party, creating handmade keepsakes in our arts and craft tent or twirling like fairies in our enchanted den, we promise to take them to their own personal Wonderland. 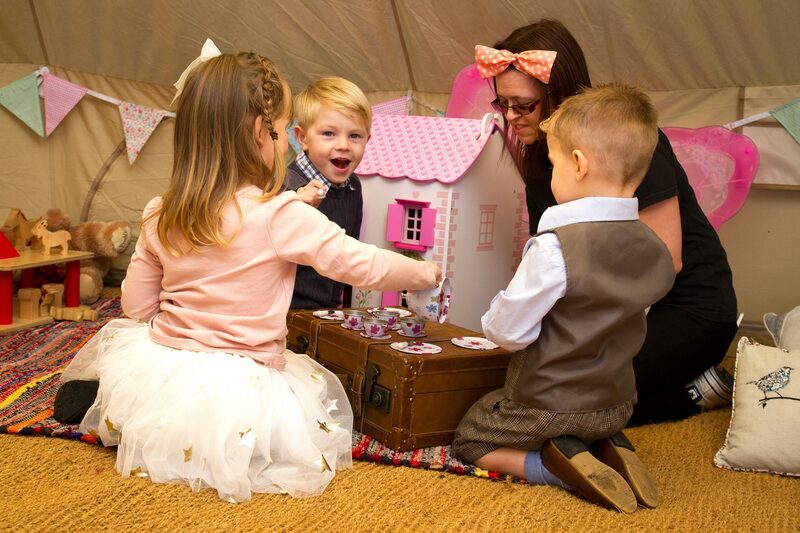 We can of course create a package to fit perfectly with your special day, providing any theme, colour, activity and timescale to ensure your little guests are entertained for as long as needed. "Just the best team to have around our little ones on our wedding weekend - you are all simply amaz-zing!"